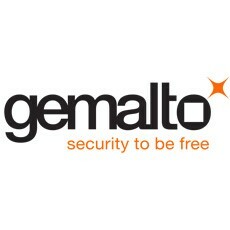 Gemalto, the world leader in digital security, is expanding its portfolio of Cinterion® Machine-to-Machine (M2M) solutions to include an M2M-grade LTE wireless module. 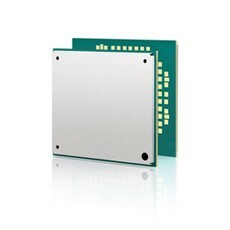 The compact Cinterion PLS8 solution is transforming the M2M industry by providing LTE connectivity for advanced “Internet of Things” (IoT) applications including connected car systems, video signage solutions and NFC applications. Following the successful introduction of the first carrier-certified LTE solution to the automotive market, Gemalto is now expanding LTE connectivity to the industrial sector with its new PLS8 solution. The PLS8 follows the widely adopted format of Cinterion® modules and is ideal for integration in the smallest M2M solutions. This dense footprint allows usage in multiple types of compact high reliability devices, from mHealth pedometers to stealthy home security video monitoring systems, and even new paradigm shifting wearable technologies such as smart clothing and wristband communicating objects. Based on the latest long life LTE chipset from Qualcomm Technologies, the PLS8 delivers industry-leading LTE multiband support for seamless connectivity to the fastest networks worldwide. Moreover, with a footprint matching existing 2G, 3G and CDMA products, the PLS8 supports design simplicity by enabling one device design for multiple networks as well as easy network migration without expensive hardware revisions. The new and simple to deploy solution enables high bandwidth computing for connected devices and lightning-fast speeds for seamless coverage when roaming across wireless networks worldwide. The particularly low latency of LTE network systems allows M2M applications to provide an unprecedented, ultra-reactive user experience and facilitates entirely new business models where real time responsiveness is required. “Over the next few years, the industrial sector is expecting to see steady double-digit growth for connected machines,” said Andreas Haegele, head of the Cinterion M2M product portfolio at Gemalto.